Here in the United States, just over three quarters of us have high-speed broadband Internet. But even though our speeds lag many other cities in the world, we’re still among the fortunate ones. That’s because much of the world – especially in developing countries and throughout much of Africa – lacks even basic communications infrastructure. Internet giant Google is working hard to change this using some decidedly old-school technology: inflatable balloons. 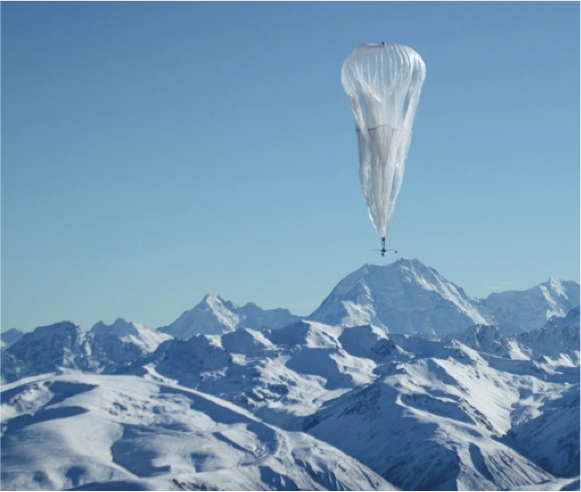 Called Project Loon, Google’s effort seeks to fill the skies with a network of interconnected inflatable balloons carrying antennae. Each balloon is designed to fly 20 kilometers above the Earth’s surface, moving with the wind and constantly adjusting its own position to bring a communications network to every corner of the globe. After approximately 100 days in the sky, the balloons slowly release their gas to safely descend to Earth for servicing. Many strides have been made in bringing communications services to Africa and other underserved regions over the last few years. But building real permanent infrastructure in the most remote of areas of the world won’t be a feasible option for years, if not decades. This balloon network, fanciful though the idea may be, likely represents the developing world’s best hope for a commercially viable communications network. You can learn more about Google Loon by visiting the program’s website or by watching the short promotional video below.